For years now some members of the legislature have been pushing to create a way to help firefighters battling cancer. Studies show they are more likely to be diagnosed with the disease, because of their line of work. This year the effort has overwhelming support in the Senate but hasn’t been heard in a house committee yet. Dwayne McKeaver is a firefighter in Manatee County. He’s been battling cancer for years now and says when he took the job in 2003, he wasn’t informed about the risks. “It was something we were never educated on prior to becoming a firefighter. I understand we take a lot of risk and that’s what I signed up for. But cancer wasn’t one of them,” said McKeaver. He detailed the fight he has been going through. McKeaver barely escaped that one, but then received another diagnosis. “From that it led into finding colon cancer, that was a stage 2 going into a stage 3. I had 18 inches of my colon removed due to that. Currently their watching my lung and my liver. I have two on my lung and one on my liver right now,” said McKeaver. He says he knows other firefighters with similar stories. He says the high cost of treatment along with stress that comes from being diagnosed with cancer is too much. She filed a bill that aims to help firefighters pay for some of their cancer medical bills. “These firefighters aren’t able to access full insurance coverage when it’s their time of most need. So we’ve filed a bill that again will hopefully make it to the finish line. So far has been getting unanimous support in the Senate,” said Flores. She believes helping firefighters is only right and that Florida should catch up to what’s become the norm across the nation. “And it’s not just something the state of Florida is seeking this out to be the new person on the block to do this. The fact is that Florida is one of the last ones to get to this. Forty-four other states have some sort of either cancer coverage for firefights a cancer presumption,” said Flores. Momentum has been building to fix the issue. But blocking the bill in the House is Speaker Rep. Jose Oliva (R-Hialeah), who recently stepped down as CEO of Oliva Cigar Company, a business started by his father. As the House Speaker he has the power to make sure the bill isn’t heard this session. When asked about it he’s said he thinks it’s a problem best dealt with at the county level. Currently the Palm Beach County offers fire rescue fighters some relief but only if they have worked for five years and only with their fire rescue team. Chief Financial Officer and State Fire Marshall Jimmy Patronis believes the state shouldn’t leave it all to locals. “Sometimes the legislature says you know this is a local issue, local government should deal with it. So what we’ve got to do is we’ve got to work out a happy medium of a policy that local governments can feel like is agreeable. But ultimately at the end of the day doing nothing is not acceptable. We’ve got to do something for our firefighters,” said Patronis. Even though the bill hasn’t been heard the house sponsor Palm Beach Democratic Representative Matt Willhite believes there is still a chance it will reach the floor. Patronis say’s no matter what he’s pushing forward. “Well we’re determined to continue to push forward with a need and awareness and an advocacy for creating a cancer benefit for our firefighters. With a death rate of 70% of the deaths that occur in the line of duty are cancer related. Those numbers are simply unacceptable,” said Patronis. The House version is still waiting for its first hearing. The Senate’s is heading to its last committee stop and is scheduled to be heard Thursday morning at 9. 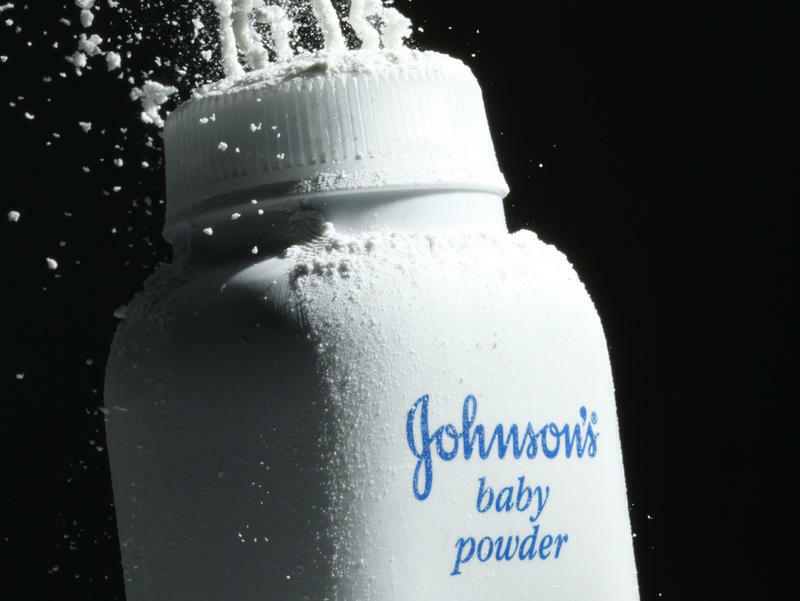 A divided appeals court Wednesday said an out-of-state firm that mines and sells talc should be dismissed from a Broward County lawsuit alleging that a woman developed ovarian cancer because of the use of talcum powder. The 4th District Court of Appeal, in a 2-1 decision, said Florida courts do not have “jurisdiction” over Imerys Talc America, Inc. because of its lack of contact with Florida. The ruling came in a case filed by Judith Ricketts against Imerys Talc America, Johnson & Johnson and Publix Super Markets.